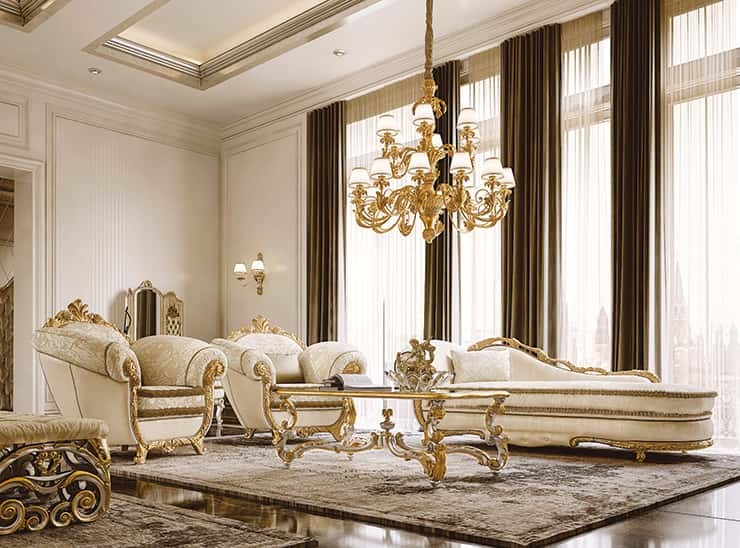 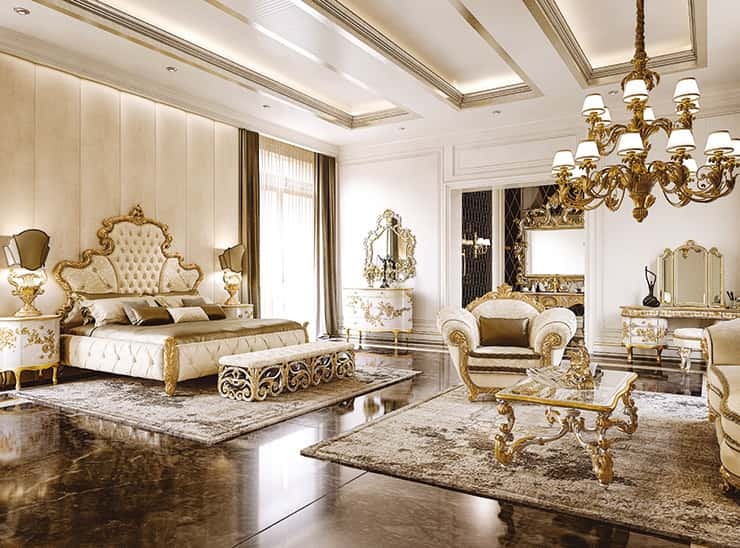 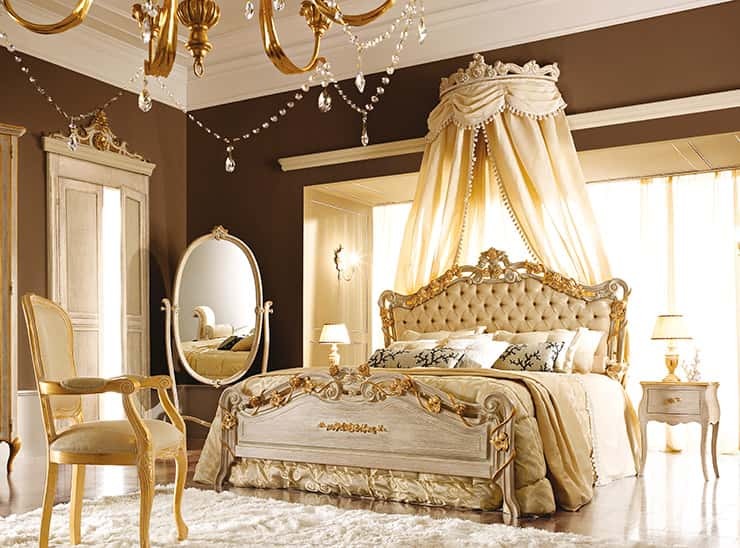 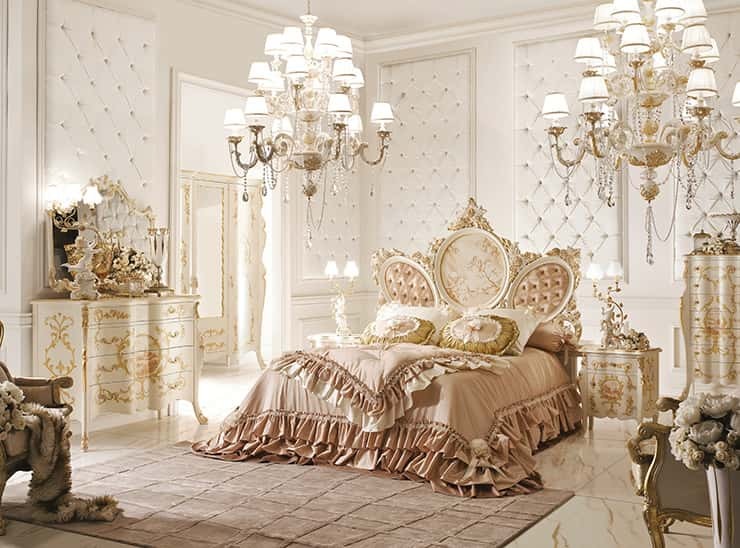 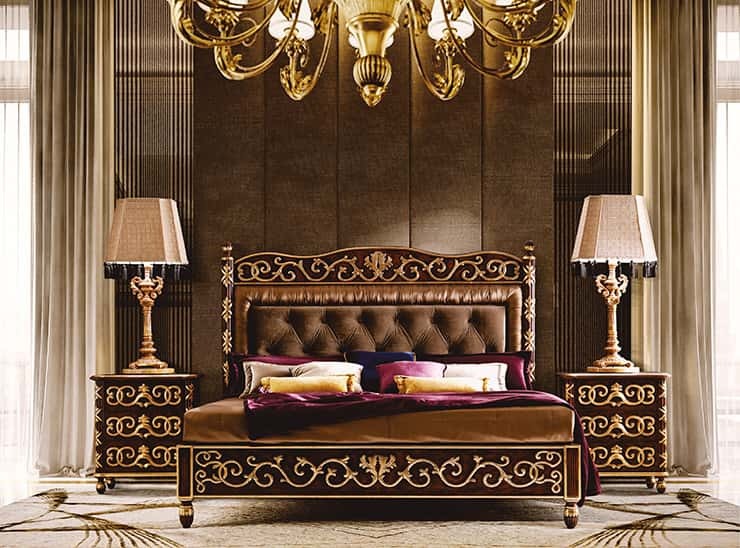 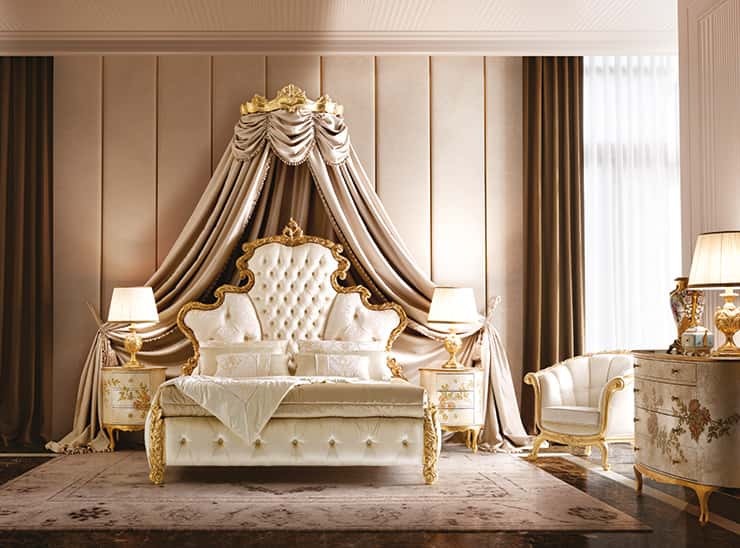 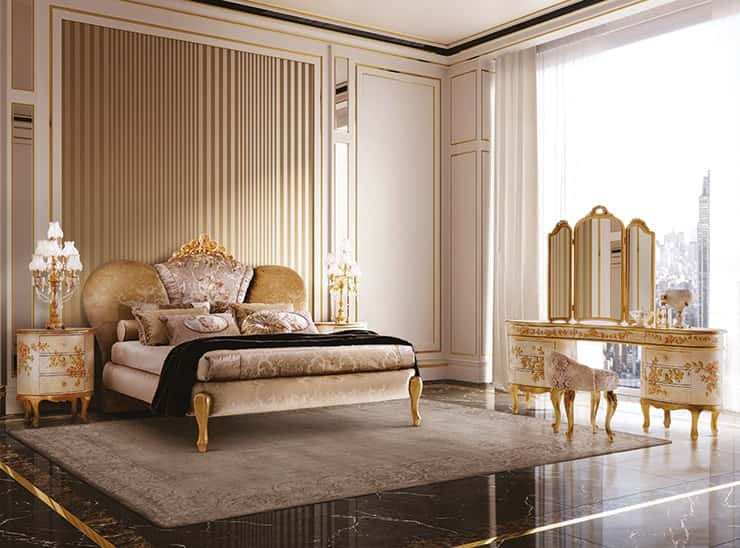 Italian luxury night compositions are famed worldwide for creating interiors of beguiling appeal. 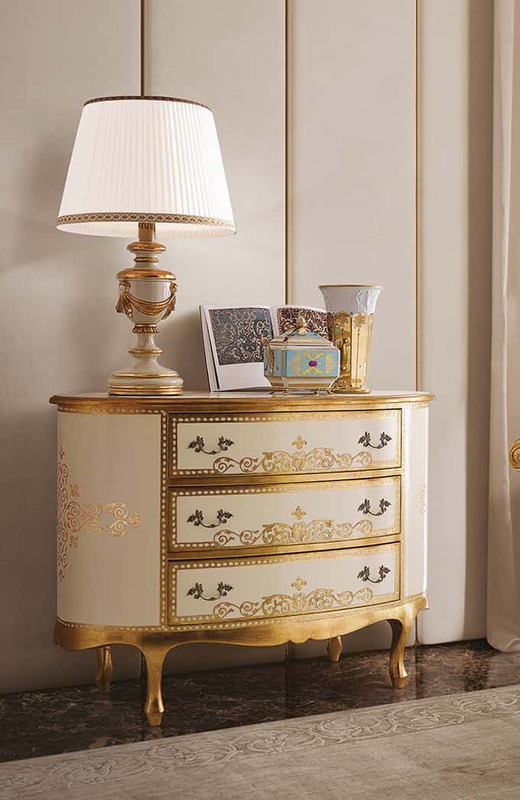 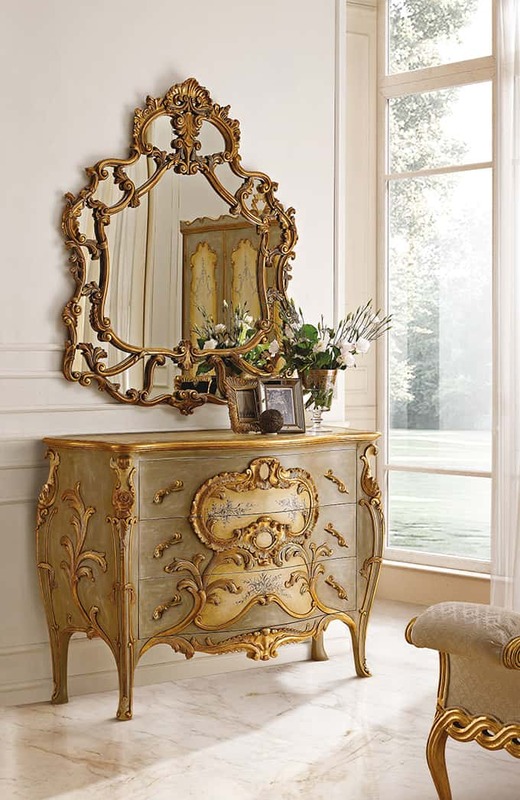 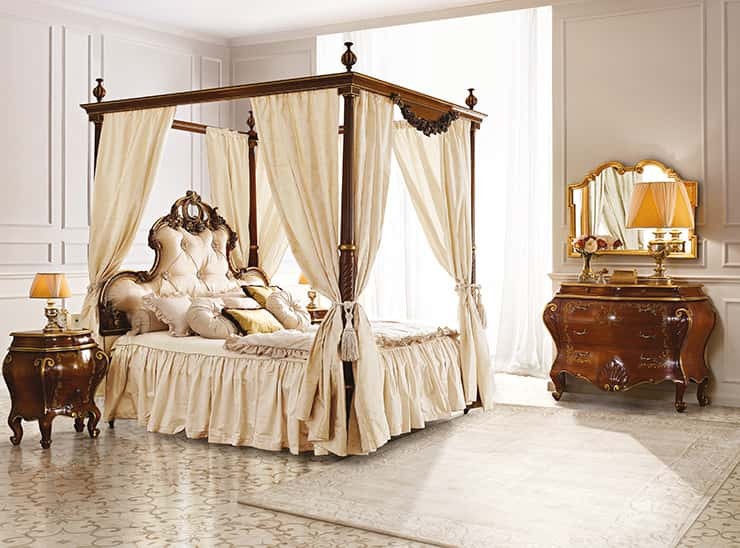 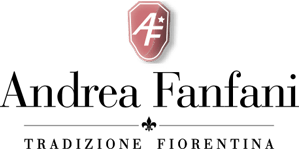 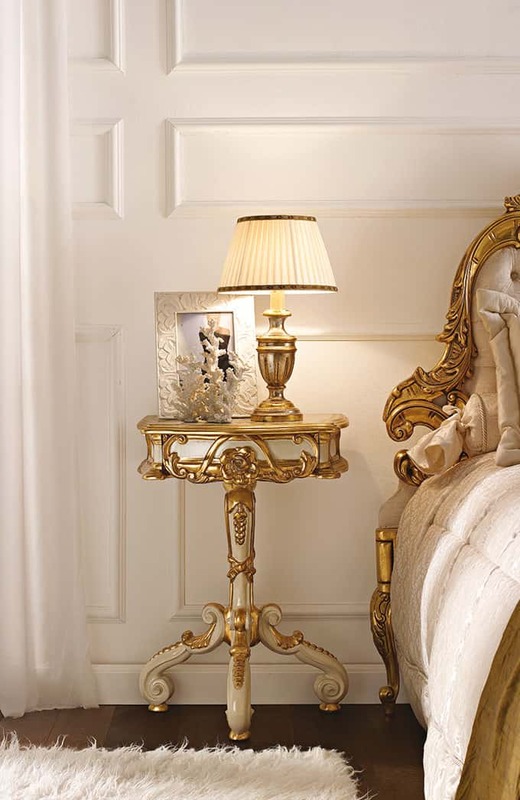 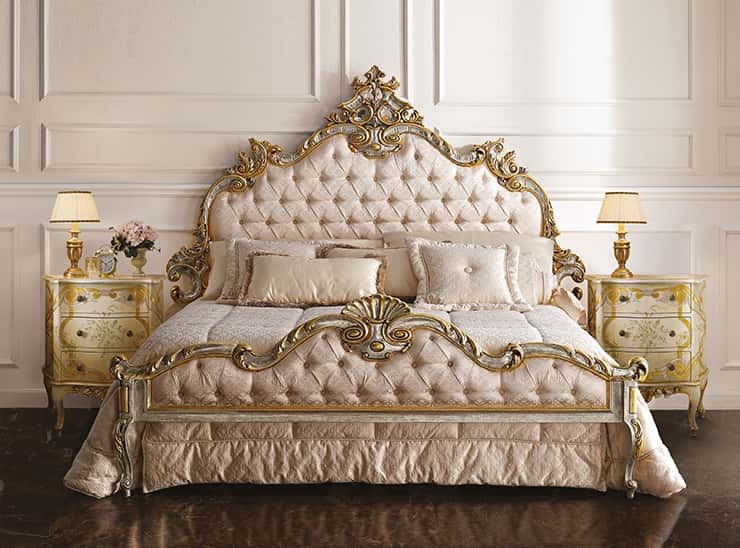 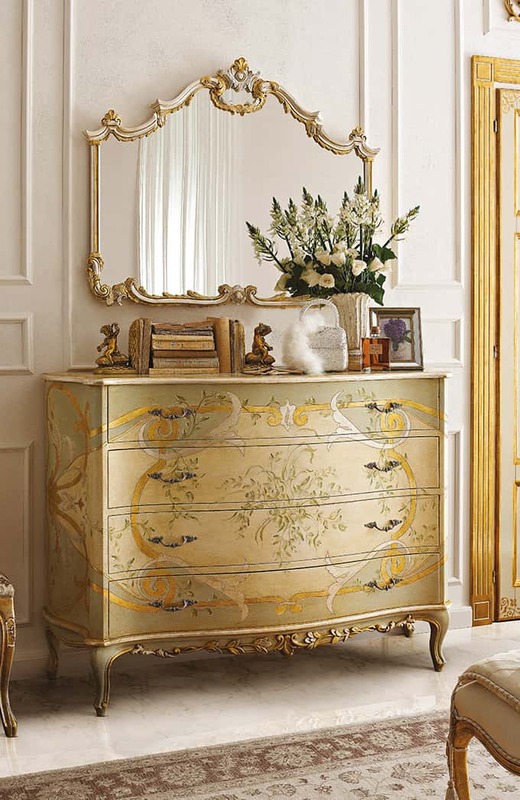 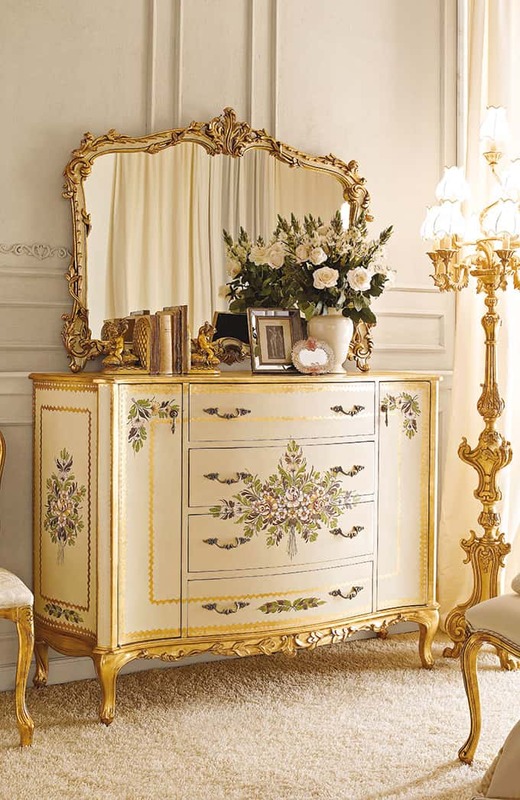 Andrea Fanfani stays true to this tradition, making finely crafted classic furniture for bedrooms. 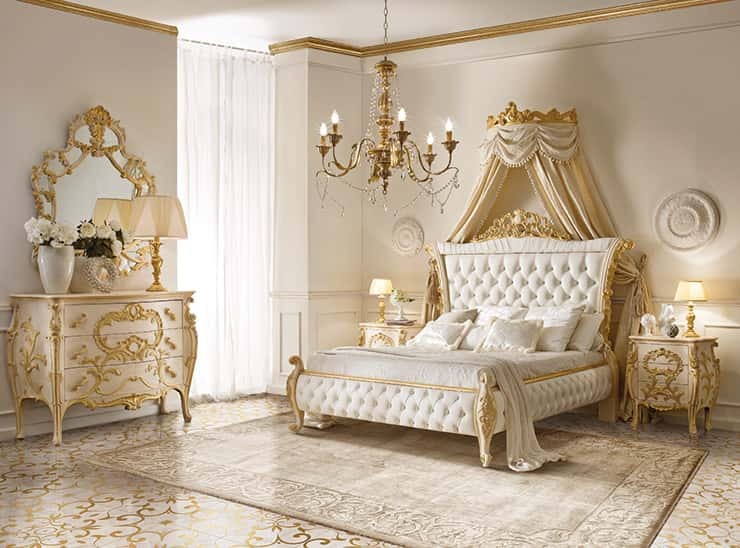 Soft decorations inspired by Baroque art suggest an atmosphere of high romanticism for the bedroom, the home's most intimate room. 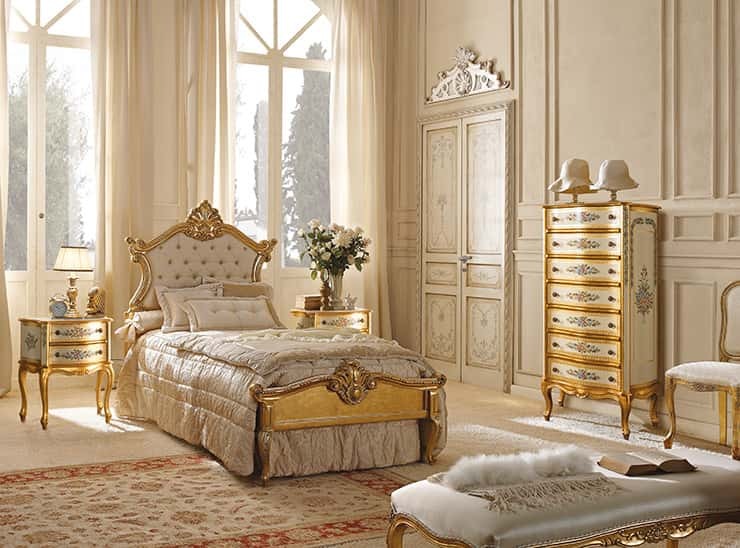 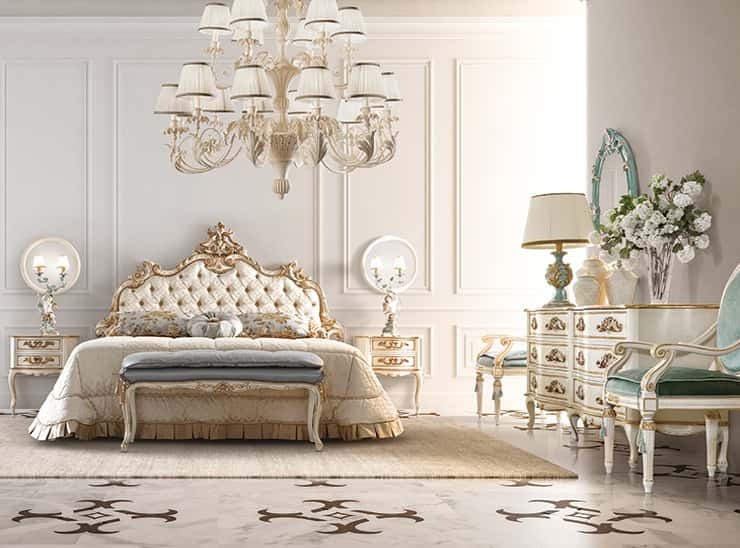 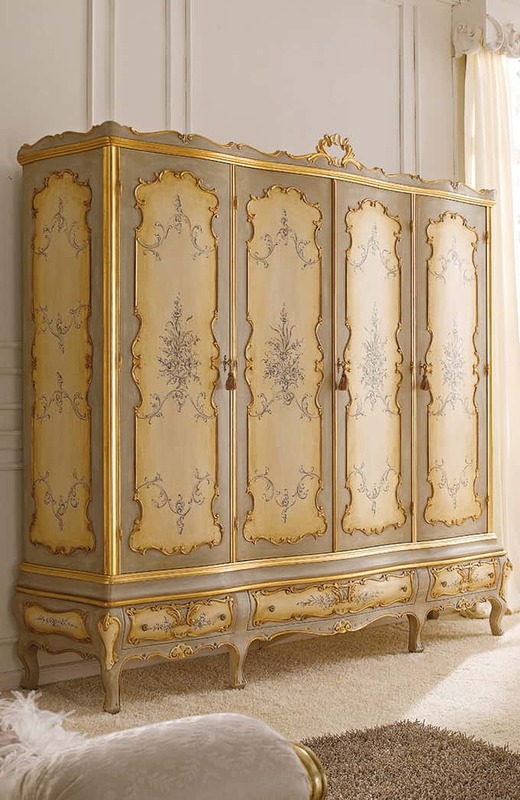 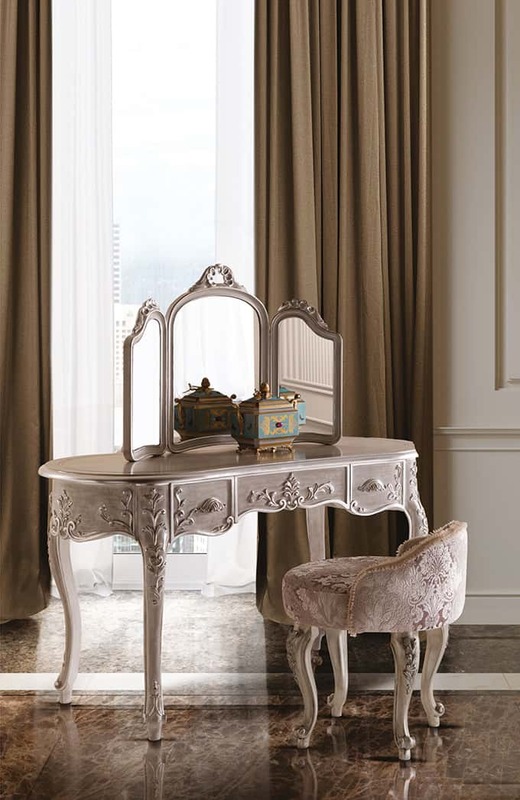 Luxury bedroom furniture sets, including pieces such as dressers and nightstands, match traditional style with the amenities of contemporary living, such as a wardrobe to organize your possessions to perfection, making classic bedroom sets that are truly modern creations. 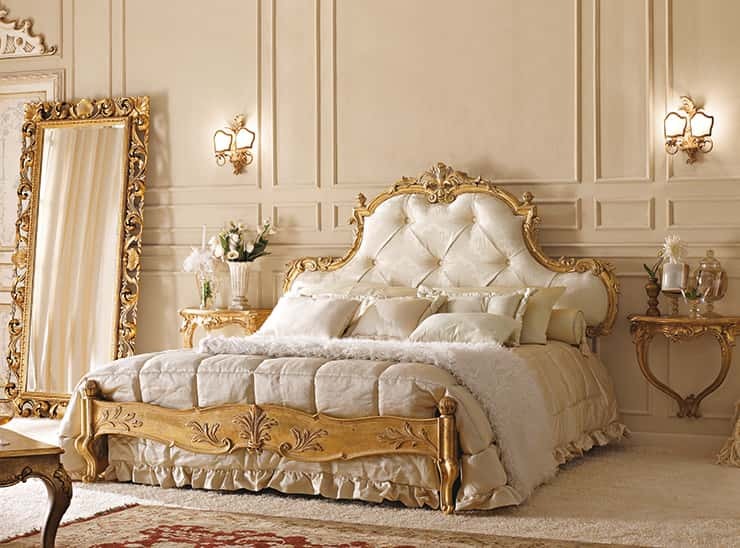 The bed plays an essential role of classic bedrooms both in its size and because of the accessory furniture around it. 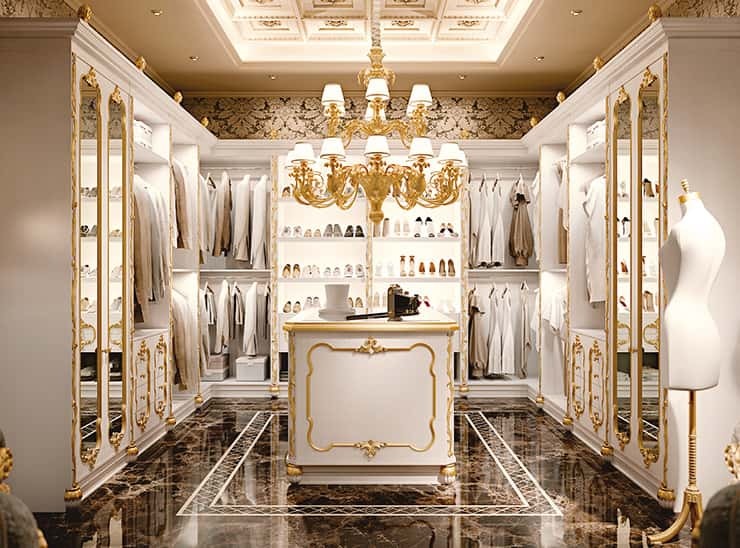 Our design service lets us find the best solution for keeping your clothes, whether a traditional wardrobe or a walk-in closet, fitting your personal needs and preferences; both options are built to the same standards of quality, durability, attention to detail, and meticulous care. 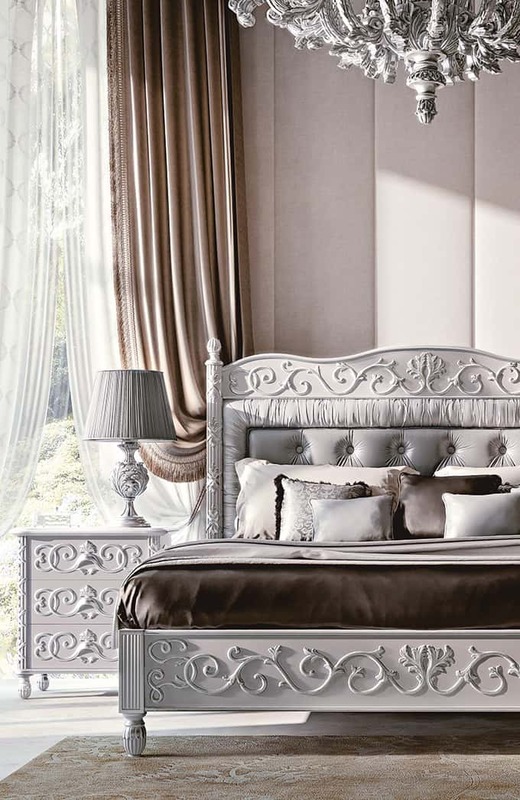 Using the vibrant material of solid wood gives the bedroom an inviting, intimate feel and ensures the furniture will last.